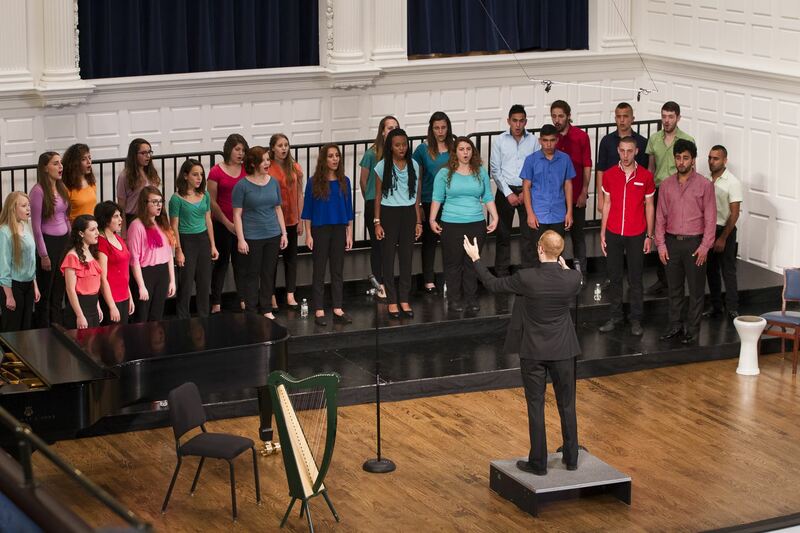 "Songs and Stories from Jerusalem, East and West"
The Jerusalem Youth Chorus is a music and dialogue program for young Israelis and Palestinians that has been featured globally for its innovative musicianship and integrity of purpose and process. Founded by Micah Hendler YC '12, the Chorus has performed twice at Yale including as a featured ensemble at the Yale International Choral Festival in 2015, and has hosted the Whiffenpoofs of 2013, '14, '16, and '17 for joint performances in Jerusalem. During the chorus’s last appearance in London, they performed on BBC's Newsnight and at the West End's Aldwych Theatre. They are thrilled to be coming back to London with a chamber ensemble of chorus alumni to share their music and experiences in a participatory evening. For a preview of the chorus, check out their music video collaboration, HOME, with YouTube star Sam Tsui '11!